Last year I was channel surfing and landed on Channel 18, Boynton Beach’s public access cable channel. The station was airing a film on Boynton Beach’s history produced in 1980. In it they mentioned that where the Leisureville community stands today, Lake Boynton once stood. How could a whole lake disappear? 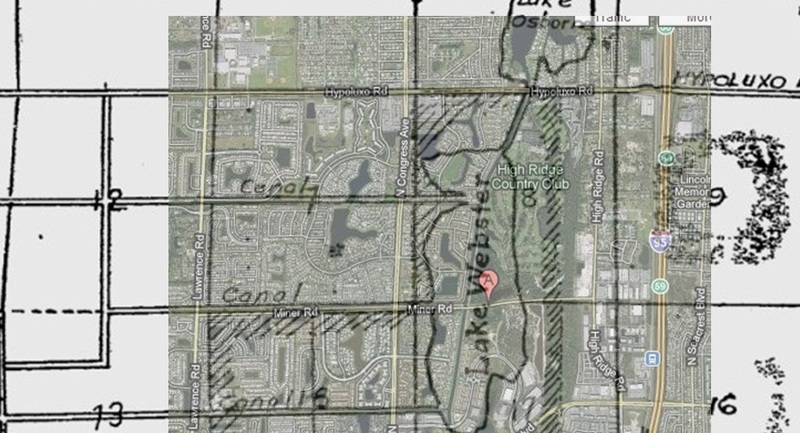 I started my quest to find the lost lake and found that not only was Lake Boynton lost, but a whole chain of lakes that stretched from Lake Osborne south all the way to the present day Woolbright Road were gone. My first clue was this map scrap from 1925, listing all the Boynton Lakes – Lake Webster, Lake Jackson , Lake Bessie and Lake Boynton. So where did the lakes go? A September 21, 1980 article from the Palm Beach Post helped fill in most of the details. In 1916, the canals on the map above were dug by the Lake Worth Drainage District to help make the land more attractive for agriculture and dairy farming. 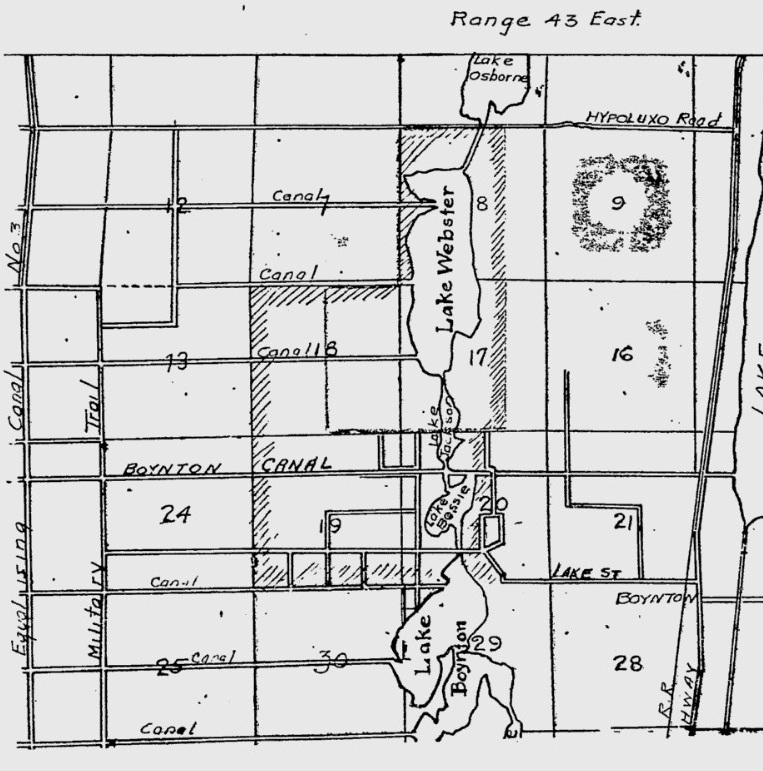 Boynton Beach was to become the main dairy lands of Palm Beach county, and draining the land helped that process. C. Stanley Weaver was interviewed for the Post article. The Weaver family moved to Boynton in 1910 and owned over 1,500 acres of land in the vicinity of Old Boynton Road, Military Trail and Lawrence Road and were in the dairy business. Mr. Weaver told of the time when the lands around Lake Boynton were hunting grounds for quail and dove and that swimming and fishing in Lake Boynton were popular with all the kids. By the time he returned from World War II, additional drainage canals such as the El Rio Canal has drained away all the lakes, including Lake Boynton. The land changed hands many times before finally being developed in 1968 as Leisureville. The muck was removed from the land and fill added to provide stable home sites. Everything lined up perfectly including the small drainage canals that still exist. Much of what was Lake Webster is now the High Ridge County Club and the Quantum residential communities south of Miner Road, but this shows how very large the lake was, compared to the small runoff lakes that dot the communities in the picture. I am sure no one who lives in that area realizes they are living on an old lake bed. In old newspaper ads from the 1920s, the land was being sold from anywhere from $400 to $2,000 an acre. An ad from October 29, 1925 offered the 850 acres around Lake Webster for $2,5000 an acre. That sounds pretty inexpensive today, but was an incredible sum of money at the time. The 1928 Hurricane brought all the land speculation to a halt. I would guess that in the 1930s or 1940s, the land could have been bought for less than $100 an acre. As we all have learned in the last few years, land and housing busts can happen suddenly and last a long time. Military Trail, which runs from Jupiter to Pompano Beach, is a familiar highway to most South Floridians. A collection of shopping centers, developments and nurseries dot the roadside along this long and historic route. 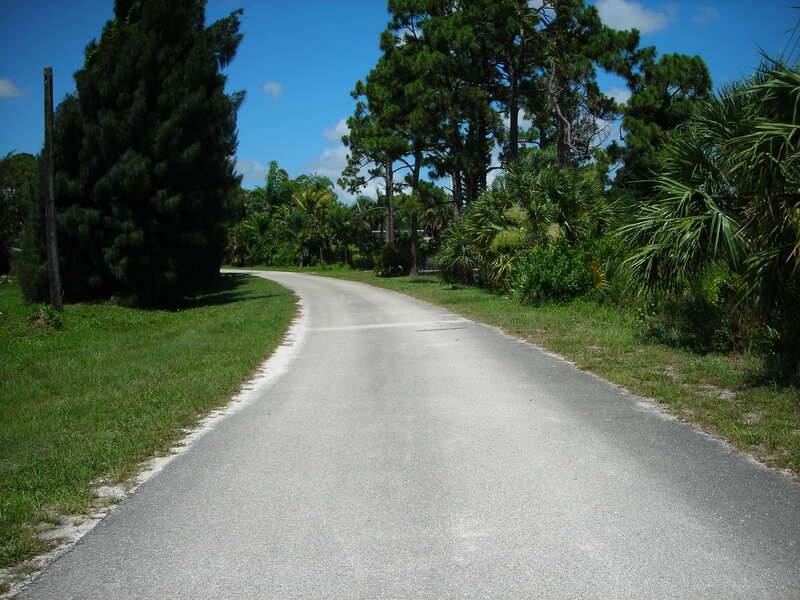 The Military Trail is undoubtedly the oldest “trail” in Palm Beach County, having been blazed in 1838 as part of the Seminole Indian War. The Seminoles had fled from the Jupiter area south, and left behind a blazed trail along the pine ridge that extended southward all the way to Fort Dallas (the original name for Miami). This “Pine Ridge” was the only somewhat navigable land inland. The land between the ridge and the ocean shoreline was covered with swampland. The only east-west through-way was Okeechobee Boulevard. 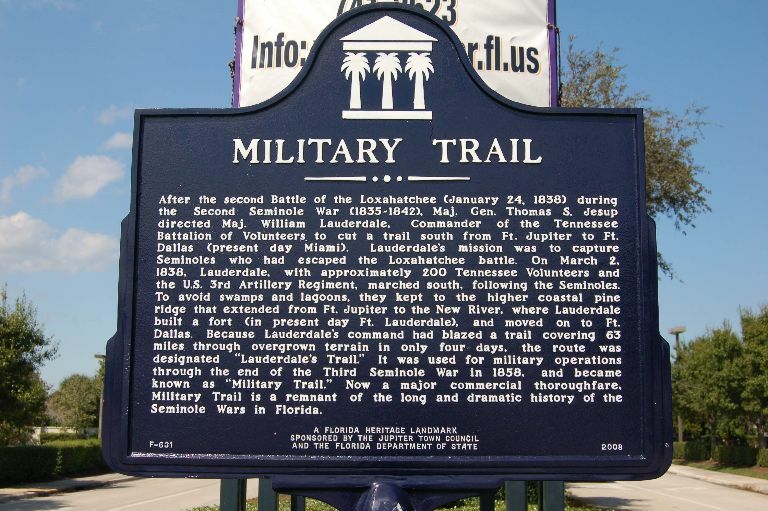 The trail was widened by 233 soldiers of the Tennessee Volunteers; it took them 4 days to clear the 63 miles from Jupiter to the New River in Fort Lauderdale. It was first known as “Lauderdale’s Route” and was used by the army for 20 years in their battles with the Seminole Indians. After the Seminole wars had ceased, covered wagons continued to ferry freight and passengers south to Fort Lauderdale. More commonly though passengers would sail along the Intracoastal south and later the train provided passage southward. 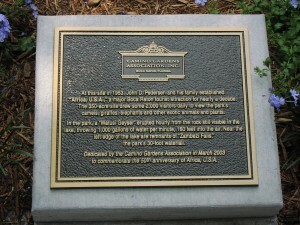 A historical marker is located in Jupiter designating the starting point of Military Trail. 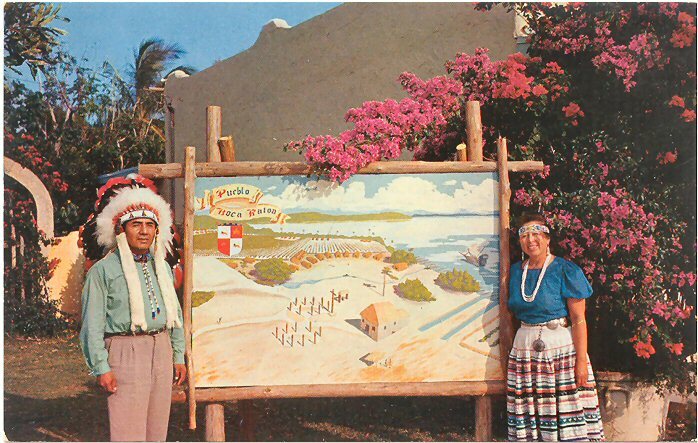 When most people think of Native Americans in Palm Beach County, they may think of the Seminole Indians or perhaps the Miccosukee. But the original Palm Beach county residents go back much further in time. No one knows the exact date that Native Americans set foot in Palm Beach county. 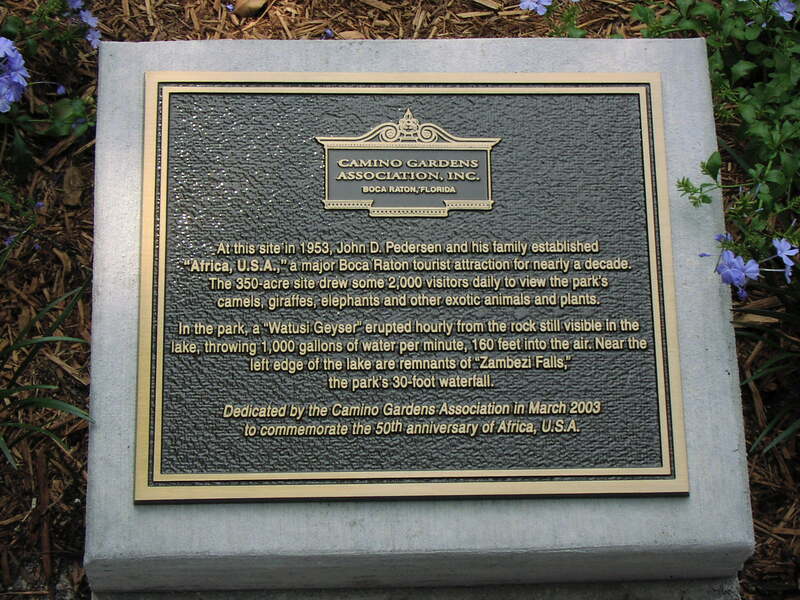 Most lived along the coastline of the Intracoastal Waterway or the barrier islands ocean side. They hunted and gathered food and practised no form of agriculture. Best estimates are that people first inhabited the county 700-1000 years ago. 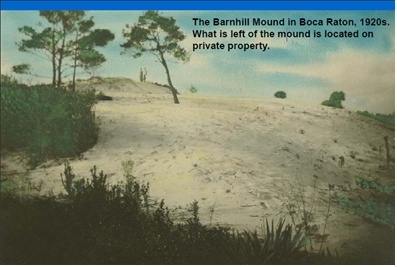 One of the more prominent archealogical sites is the Barnhill Mound in Boca Raton. The mound was known in the 1920s as a high hill covered with fine sugar sand. The property was eventually aquired by E.G. Barnhill, a famous early Florida photographer. Born in 1894 in South Carolina, Barnhill is famous for his hand-colored photographs and paintings of the old Florida landscape. He was also interested in Native American culture and collected artifacts throughout the nation. Upon having the property explored by University of Florida archeaologist Dr. Ripley Bullen, it was discovered that the large mound was actually a burial mound. Barnhill named the attraction “Ancient America” and opened it in 1953. The bones of the deceased were bundled together and placed in small niches in the mound. Barnhill tunneled through the mound and set glass panels in the sides so tourists could peer in and see the bundles of bones. 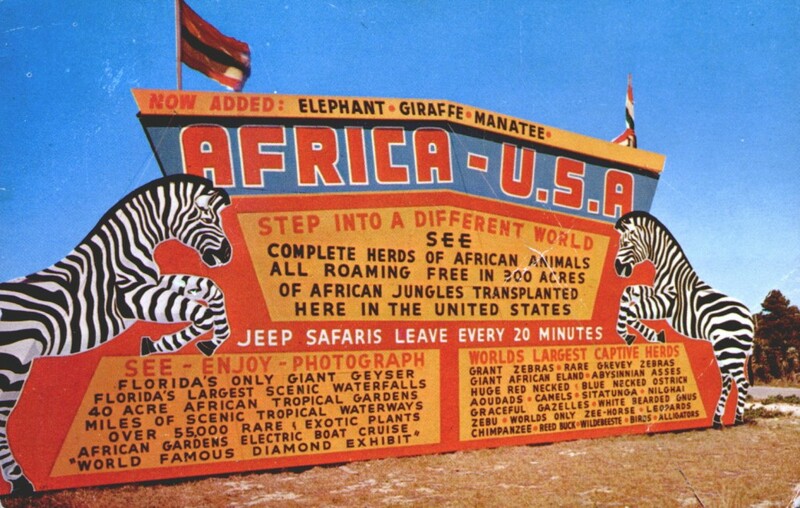 The attraction was open until 1958, and never proved to be popular. Archealogists mapped the original site and assume it was a ceremonial center and village, probably housing 150 residents. The most likely tribe are the Tequesta, who populated the areas that today are Broward and Dade counties. So what happened to the Barnhill Mound? In 1981, the site was long abandoned and was on a list of Palm Beach county sites to be purchased for historical preservation. But that didn’t happen. 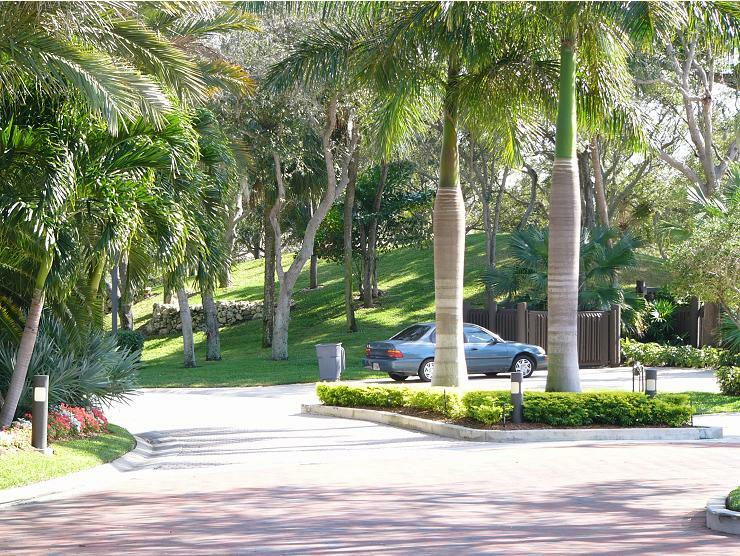 Instead, it was sold to developers who built the Boca Marina Yacht Club. I went down to see what was actually left of the mound. Most articles I had read on the site indicated that the mound was completely gone, but that proved not to be true. I took the picture below from the sidewalk on the street. I wanted to get a bit closer, but the guard would not let me walk back to the mound. I asked the guard if she knew what the hill was; she did not know, thinking it was just a pretty hill. When I told her that this was actually an indian burial mound, she got a kind of creepy look on her face. What is sad is that were this property available today, it would be a park and educational site. But alas, the mighty dollar spoke. The Barnhill Mound as it appears today.